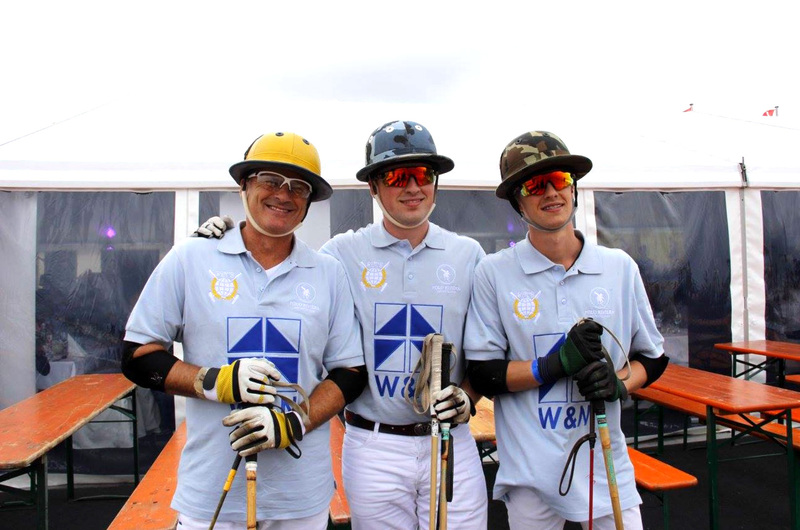 Victory for team “W&N Immobilien” with Uwe Zimmermann and his sons Philipp and „Maxi“ Maximilian. Warnemünde (POLO+10 – 26.06.2017) – Competitive, fair and breathtaking: two family-teams made it to yesterday’s final of the “FERRARI Berlin Beach Polo Masters Warnemünde“. With only one goal ahead “Team W&N Immobilien” with Maximilian, Philipp and father Uwe Zimmermann (tournament director of the Beach Polo Masters) made it to victory in the literally last second of the match. With that goal scored by Maximilian „Maxi” Zimmermann and a final 5:4 they could defeat “Team Arge Haus“, with Joe Reinhardt and his two kids from Japan Ken and Runa Kawamoto. The enthusiastic audience supported the teams with boundless exaltation. Nowhere else in polo the crowd gets closer to players and horses as in beach polo. Organiser Matthias Ludwig from Polo Riviera did a great job in organising the venue perfectly in every detail together with his technical director Jörg Zimmermann. 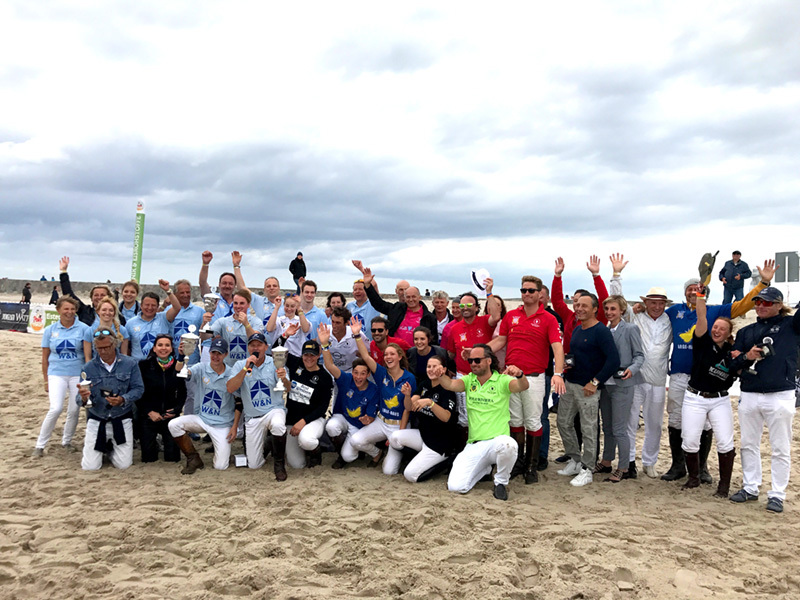 Six teams from nine nations competed in the chukkas at the shore of the Baltic Sea in Warnemünde. Polo player Michael Fass for example came all the way up from South Africa to play the Beach Polo Masters. “Team Ferrari Berlin” made it to the third place, the fourth place was reached by “Team Kühne Polo / Maker’s Mark / Best Western Hanse Hotel“. 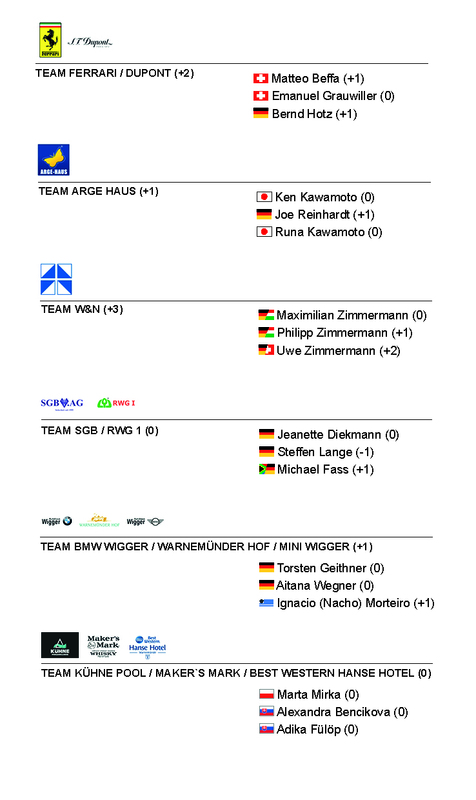 At position five and six range „Team SGB / RWG“ and „Team BMW Wigger / Warnemünder Hof / Mini Wigger“. A sensational polo venue and a gorgeous Player’s Party on Saturday night.